As expected, Huesca were hammered by Barcelona 8-2 at Camp Nou, but the newcomers should not be looking for points in matches against the contenders for the title. 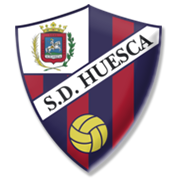 Huesca are now fully focused on Friday’s football match against Rayo Vallecano and we predict that they are going to fight tooth and nail against the capital club. Los Vallecanos, on the other hand, made a very slow start to the season, with the team suffering a loss in each of their four league fixtures and they must be low on confidence ahead of the trip to Huesca. Leonardo Franco’s men have been producing fine displays on their return to the Spanish top flight and seeing that Rayo Vallecano are not considered good travelers, we believe that there is a big value in betting on the hosts, who are eyeing their second win of the season. Alex Gallar is a Spanish footballer, who plays for Huesca in La Liga. Alex Gallar’s main position is left winger, but he is used as both right winger and left midfielder as well. Born in Terrasa (Spain) on March 19, 1992, Alex Gallar began his youth career at his hometown club Terrasa, but in 2010 he moved to Mallorca youth academy. Speaking of his senior career, Alex Gallar played for Terrassa, Mallorca B, Murcia B, Rubi, Cornella, Hercules and Cultural Leonesa before joining Huesca in 2017. Gallar quickly established himself as a first-team regular at Huesca and it has to be noted that he scored five goals in 24 appearances for the El Alcoraz outfit in the 2017/2018 Segunda Division campaign. The Spanish winger helped Huesca secure promotion to La Liga, with the player making his debut in the Spanish elite division in a 2-1 away win over Eibar. Alex Gallar’s contract with Huesca should expire on June 30, 2020.